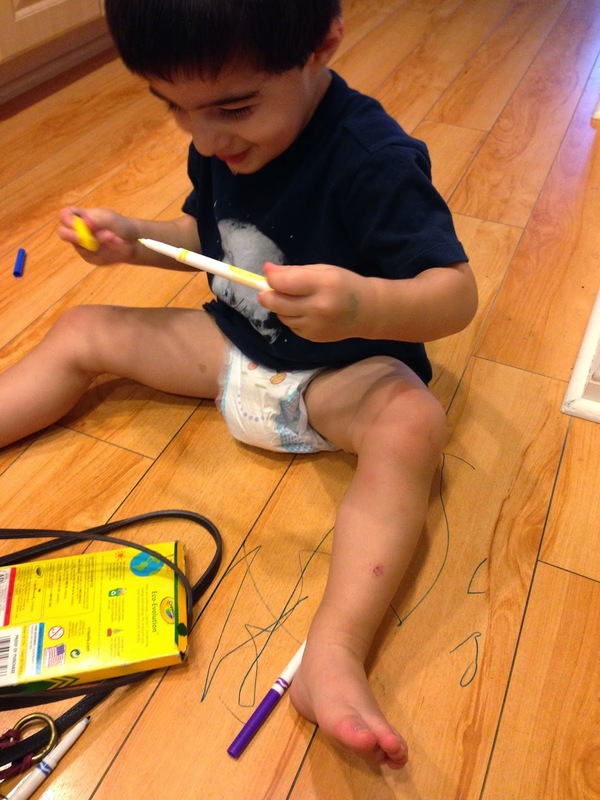 ... you step away for a minute to talk to your husband about something and come back to see that your toddler has pulled the markers out of your purse and has written in blue marker all over the floor...and looks mighty happy about it and proud of himself too! side note : apparently the train is washing machine proof? He sure keeps me on my toes! Ha! I love these and can relate to so many! Henry puts his own clothes int he laundry hamper and I've found some interesting things in there! HA!!! This is hilarious. 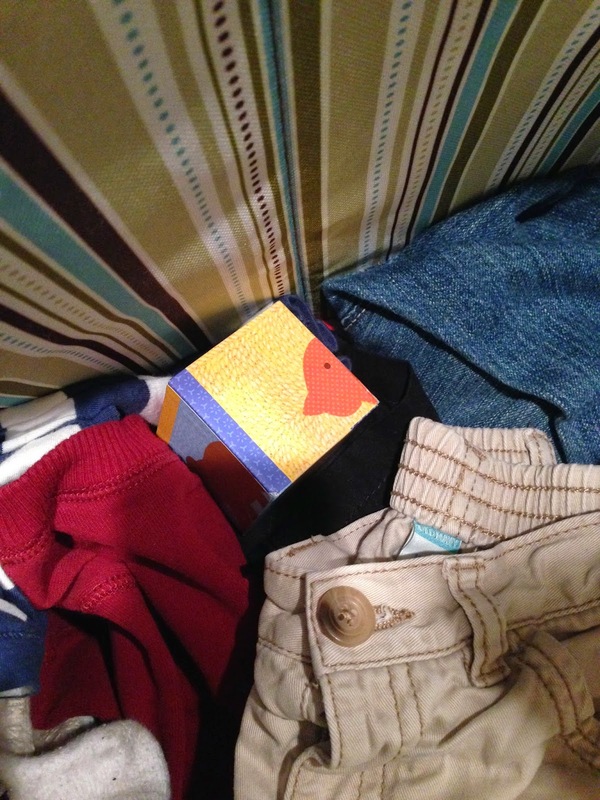 I find the most random stuff in our washing machine, too. And, Cheerios are found EVERYWHERE! This is too funny! I love finding little cars & trains in unexpected places. EVERY time I give them food in the car it ends up in the floor! These are always my favorite posts! The food all over the car floor is so us too. EVERY single time. Myles tried to eat a french fry that was down there from like 4 days ago today... And I had my first drawing on the floor too! I gave him his chalk to play outside. He comes in telling me 'writing, writing' I'm thinking it's outside... nope I walk over and it's on the carpet! BOYS! I really hate food in the car seat!! If she would just promise to put in all in her mouth and not shove it down holes we'd have a deal, but she just won't agree to mom's terms! And, hey you have one clean train on your hand! Yes, yes, and yes! I can so relate to these!! Boys are fun...but they sure do keep you on your toes!